How can we know if our departed loved ones are still with us? Can guidance from beyond help our daily lives run more smoothly and feel more purposeful? Spiritual medium and bestselling author Rebecca Rosen has answers. After serving as a spiritual medium for more than two decades, Rosen knows with absolute clarity that the spirit world is always trying to get our attention. Our departed loved ones and spirit guides intervene in our lives daily to let us know that our real-life struggles have a rhyme, a reason, and a purpose and that we’re not alone to figure it all out. Rosen knows how easy it is to get caught up in the demands of life while juggling the responsibilities of family, friendships, work, health, and money. She strives to be the best working mother, partner, and friend she can be, and she has to actively work to find a healthy balance. 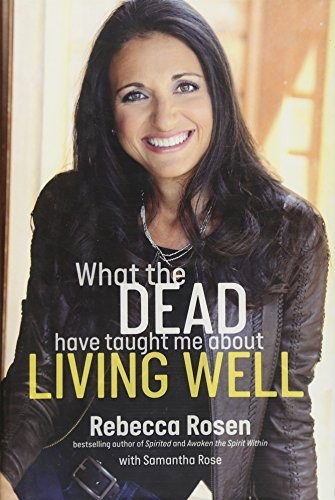 What the Dead Have Taught Me about Living Well walks you through an equally ordinary and extraordinary day in Rosen’s life and reveals how she tunes in to see, hear, and feel the presence of spirits to help support and guide her forward. Through personal insights and shared extraordinary stories from the Other Side, she answers the question she’s asked most frequently: How can my departed loved ones help guide me to live my best life? 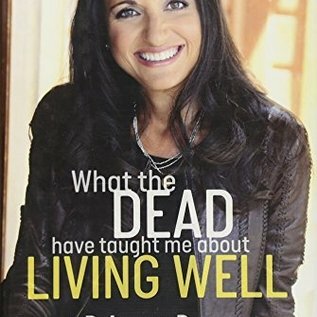 In What the Dead Have Taught Me about Living Well, Rosen shares the daily practices and spiritual tools she relies on to recognize and interpret signs from beyond. Spend a day with her. You’ll learn how to strengthen your own connection to something bigger. This new perspective will help you better understand and navigate your day-to-day world so that new opportunities and possibilities unfold in all aspects of your life.